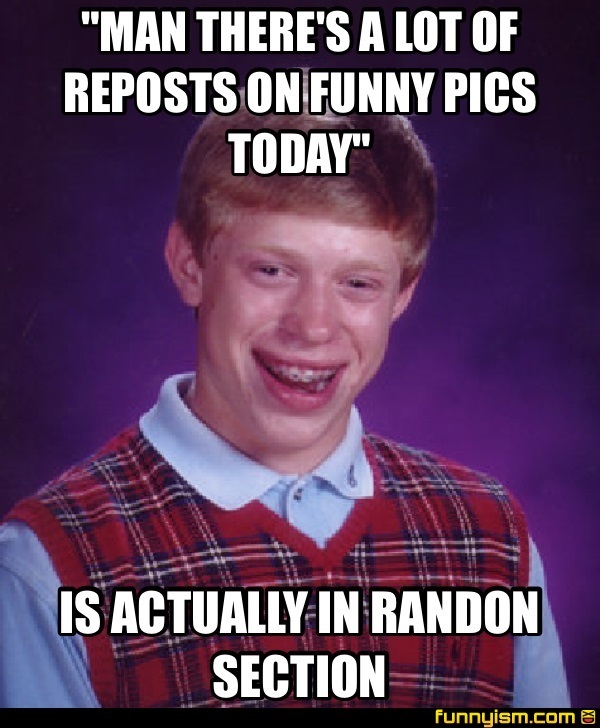 "MAN THERE'S A LOT OF REPOSTS ON FUNNY PICS TODAY"
@starkiller667, Glad to hear I'm not alone on this. @KaijuKoitus, It's like radon, but more cancerous. @Thats Not My Banana, me too! I just came to the random section and this was the first pic to pop up! @VibratingButtChomper, took me a while, but here I am. Same bad luck Brian same. Who else just checked that they were in recent?